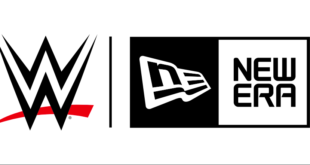 WWE has published its first official book of rules, boasting more than 200 pages of rules, drawings and diagrams. Dubbed The Official WWE Book of Rules (And How to Break Them), fans can learn about how WWE superstars such as John Cena, Roman Reigns and The New Day are following in the footsteps of legends like The Undertaker and WWE Hall of Famers Ric Flair and Shawn Michaels to reshape the rules of sports-entertainment. Working with Topix Media, commentary and rule revisions from WWE superstars are also included in the book, as well as a foreword from Smackdown! Live general manager, Daniel Bryan. The new book is slated for release on February 28th, and will be available online at Amazon and Barnes & Noble.